In recent years, continuous glucose monitoring (CGM) has attracted more and more attention, and it has been applied in clinical practice. In order to promote the standardization of CGM in clinical application, CGM-related guidelines have been carried out and updated on a regular basis worldwide. In this chapter, we will introduce the Chinese and international clinical guidelines for CGM in recent years. First, we will review the classification of CGM and findings from evidence-based medicine and then summarize the indications for retrospective CGM and real-time CGM in Chinese and international guidelines, as well as the details in data collection and analysis in the clinical application. Then, we will discuss the problems that need to be solved in the development of CGM technology. 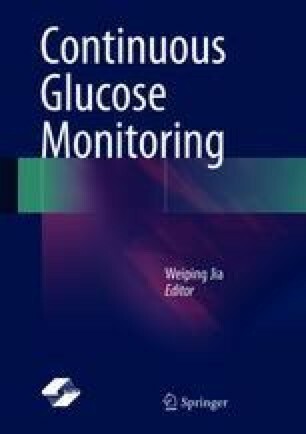 Finally, on the basis of the Clinical Application Guide of Blood Glucose Monitoring in China (Edition 2011), we will briefly introduce the updated contents of the 2015 edition of the Guideline.